The song was the title tune to the band’s soundtrack for the film of the same name starring Olivia Newton-John and Gene Kelly. 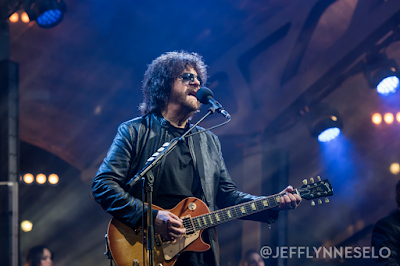 While the movie flopped at the box office, the soundtrack topped the charts in several countries, with the title track going on to become the Electric Light Orchestra’s only UK No. 1 single. “Wembley Or Bust” captures Lynne’s sold-out show before 60,000 fans at London’s Wembley Stadium this past June, where he delivered material from the group’s extensive hit-filled discography; the show also includes tracks by The Move and The Traveling Wilburys. “Xanadu” follows “Turn To Stone” as the latest preview of the project directed by Paul Dugdale. “Wembley Or Bust” will be available in multiple formats, including 2CD/Blu Ray, 2 CD/DVD, 2CD and 3LP packages.